It’s always a challenge to find plants that will hold up under the hot summer weather that we deal with each year here in South Carolina. Although hostas are generally a good choice, where you plant them matters. If your yard has more sun or if you’re looking for a lower-maintenance hosta, try the Patriot. 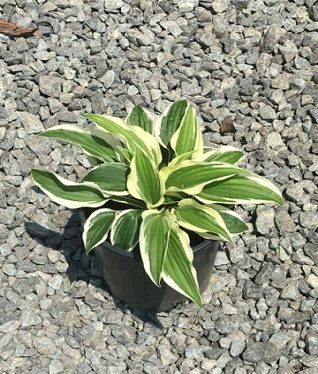 The Patriot hosta is one of the more heat-resistant varieties we sell here at Rolling Hills Nursery & Landscaping in Rock Hill, SC. The Patriot is actually a mutation of another hosta variety, the Francee. Known as a “sport,” these mutations are very common and are actually how many new varieties of hostas are developed or discovered. The Patriot has pale lavender blooms and white-bordered leaves with green centers. Like other varieties, this hosta will bring butterflies and hummingbirds onto your property. It typically blooms from June to September. At 14 inches high and 24 inches wide, it’s a great way to fill up space in a flower bed and add height to your landscaping.